Principle: Foreign sovereign shall be treated as independent sovereign and therefore have immunity form local jurisdiction. Fact: The Sultan’ s sovereign status was an issue in a court case in England. When Miss Mighell sued a certain Albert Baker (Sultan of Johor), travelling incognito in the United Kingdom) for breach of promise of marriage, the Court granted the Sultan as an “independent sovereign” immunity from jurisdiction. 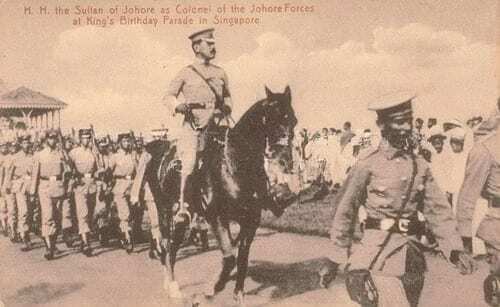 The decision was based on a letter from the Secretary of State for the Colonies stating that “generally speaking, [the Sultan] exercises without question the usual attributes of a sovereign ruler.” This further demonstrates the British recognition of the Sultanate of Johor as an independent State. Issue: whether sultan Johor will get diplomatic immunity or not?